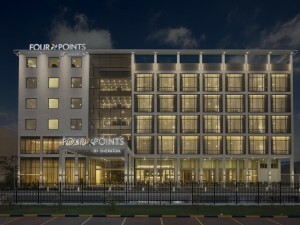 Marriot International announced the opening of its second hotel ‘Four Points by Sheraton’ in Nairobi Airport, Kenya. The all-new 172 room hotel features spacious and modern rooms including suites. Strategically situated within the main complex of the Jomo Kenyatta International Airport, the hotel is within easy reach from major highways and overlooks the famous Nairobi National Park. “Four Points by Sheraton Nairobi Airport is a great addition to our East Africa portfolio and strengthens our rapidly growing presence in the region,” said Alex Kyriakidis, President and Managing Director, Middle East and Africa, Marriott International. It also offers exciting dining options including an all-day dining, a lobby café and a rooftop bar and grill, Tazama. Guests can also experience the brand’s signature Best Brews programme featuring a local craft pilsner created especially for the hotel in collaboration with the well-known Big Five Breweries. 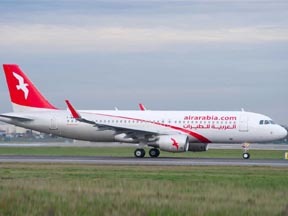 Air Arabia, the Middle East and North Africa’s first and largest low-cost carrier (LCC), announced that starting July 4, 2017, Hargeisa will be the newest African destination to be added to its growing international network. Air Arabia entered the African market in 2004 and currently serves six destinations across Egypt, Sudan and Kenya from its main hub. The new flights to Hargeisa, Somaliland will operate twice a week, on Tuesdays and Fridays, departing Sharjah International Airport (SHJ) at 03:45 hours and arriving at Hargeisa Egal International Airport (HGA) at 06:15 local time. The return flight will depart from Hargeisa at 06:55, landing in Sharjah at 11:25 local time. Emirates, the largest international airline in the world, has announced that it will introduce a third daily flight between Dubai and Kenya’s capital Nairobi from June 1, 2017. The additional flight will increase the number of scheduled Emirates flights between the two cities to 21 a week and give customers greater flexibility and choice when planning their travel. It also underscores Emirates’ commitment to Kenya and confidence in the route, which has grown to become one of the airline’s busiest routes in Africa since it first launched services to the country in October 1995.As with its other two daily flights between Dubai and Nairobi, Emirates will also operate its popular Boeing 777-300ER in a three class configuration. The aircraft will have eight private suites in First Class, 42 lie-flat seats in Business Class and 304 spacious seats in Economy Class. Flight EK717 will become the first of the three daily departures from Dubai and leave at 0140hrs and arrive in Nairobi at 0540hrs, enabling customers arriving on Emirates’ flights from India, the UK and many European countries such as France, the Czech Republic, Ireland, Netherlands and Italy to connect to the Nairobi flight within three hours. The return flight EK718 is also conveniently timed and will depart Nairobi at 0710hrs and land in Dubai at 1315hrs, ahead of Emirates’ afternoon European flights and its fourth daily flight to New York, a popular destination for Kenyan travellers. Dubai’s Department of Tourism and Commerce Marketing (Dubai Tourism) hosted its largest ever group of travel trade professionals from Africa, during a six-day familiarisation trip aimed at positioning Dubai as a leading destination of choice. The familiarisation trip, which ends today, has given over 300 senior management executives from 12 African countries – South Africa, Ghana, Nigeria, Kenya, Zambia, Ethiopia, Zimbabwe, Seychelles, Mauritius, Uganda, Tanzania and Cote D’Ivoire – first-hand insights into the array of unique experiences, attractions and activities that Dubai offers, with the spotlight falling on the city’s upcoming summer calendar, starting with the cultural activities during the holy month of Ramadan, followed by the Eid in Dubai celebrations and the Dubai Summer Surprises. In addition to visiting a number of key attractions across the city, the delegation also attended the Dubai Tourism Conference and Workshop on 3 June, which provided an overview of Dubai’s tourism offerings and the kind of support that is being offered to the African travel trade to promote Dubai in their continent. 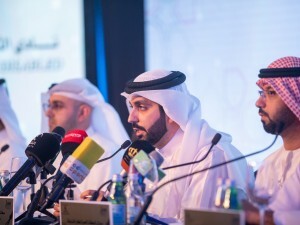 Presentations were also made by officials from the different agencies and divisions of Dubai Tourism such as Dubai Festivals and Retail Establishment (DFRE), the organiser of major festivals in Dubai, digital and marketing communications and Dubai Calendar. Consulate General of the United Republic of Tanzania in partnership with Holidays and Incentives and Regency Travels conducted a road show at the Hyatt Regency in Creek. Some of the leading travel agents in the UAE attended the event whilst four of the most luxurious properties in Zanzibar made their presentations. 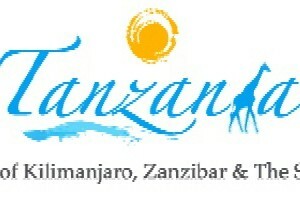 From Zanzibar the four properties included The Residence, Melia, Park Hyatt and Elewana. The travel agents were given quite an opportunity to learn about the destination and the exclusive properties available for their clientele. Lastly was the presentation by the Tanzania tourism office where the spokesperson explained from traditional source markets Italy remains on top with over 65% traffic to the destination with other countries such as UK, France, Germany, Kenya, South Africa and North America and the emerging countries are India, China, Russia and Middle East.